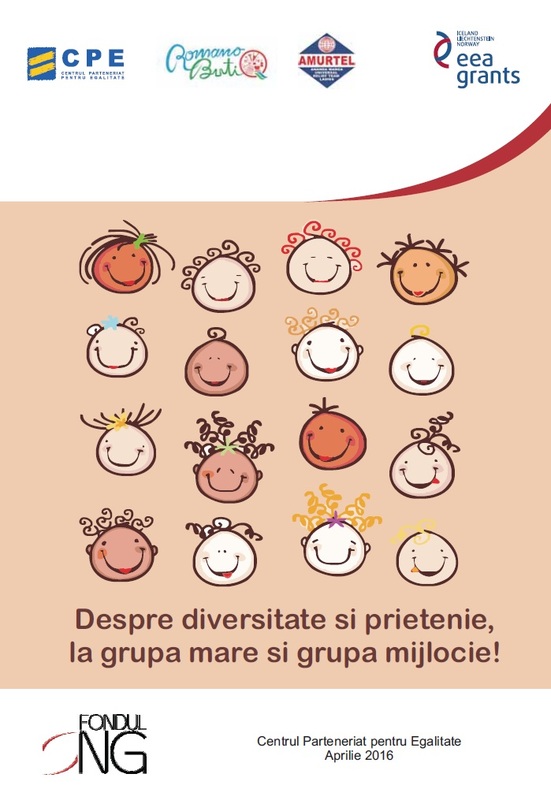 About Diversity and friendship in preschool and kindergarten | Despre Diversitate si prietenie la grupa mare si grupa mijlocie. This resource is a collection of personal stories and experiences shared by people marginalised due to their ethnicity or level of ability. The views and the voices of these people are presented in a way to evoke solidarity and emphaty. The resource promotes friendship as a way to combat and overcome prejudice, stereotyping and marginalisation of certain individuals and groups. Storytelling is a powerful tool for building friendships - by telling stories and listening to other people's unique stories empathy is nurtured and and bridges among people are built.